We’ve all heard about probiotic foods that contain healthy live bacteria and their benefits for gut health, but there are also foods called prebiotic foods, that nourish the healthy bacteria already living in our body. A combination of both keep our body balanced. Aspargus is a mega superfood for digestion. It contains multiple nutrients that may help heal the gut wall and is rich in inulin, which helps increase the activity of beneficial bacteria in the gut. Garlic has great immunity boosting benefits. Not only is it a great prebiotic but it also helps to combat unhealthy gut bacteria. 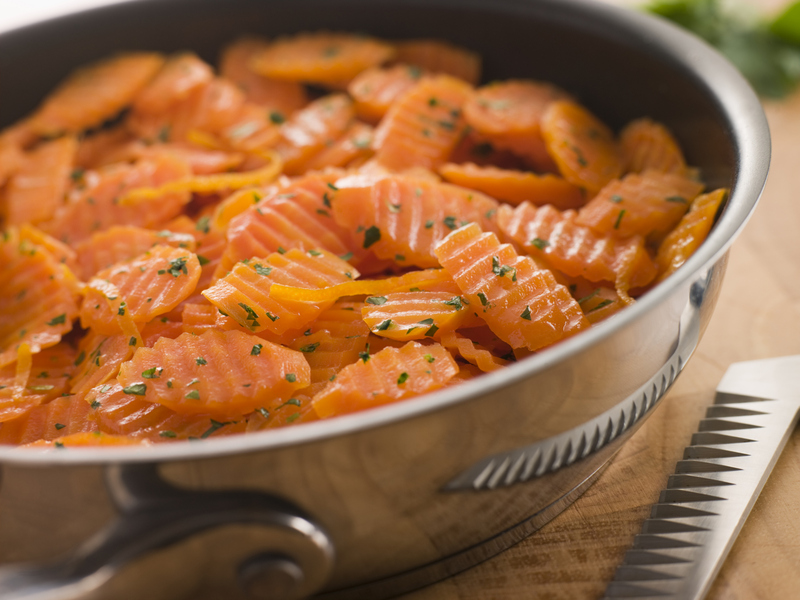 Carrots aren’t only just good for your skin, they’re also good for your gut and are packed with compounds called arabiongalactans, which good bacteria in the intestinal tract thrive on. Make the swap to coconut flour, it has 5 grams of fiber per serving compared to wheat based flour which comes in at .8 grams per serving. The increase in fiber will help with your overall digestion. Put these superfoods on your plate and discover the benefits!